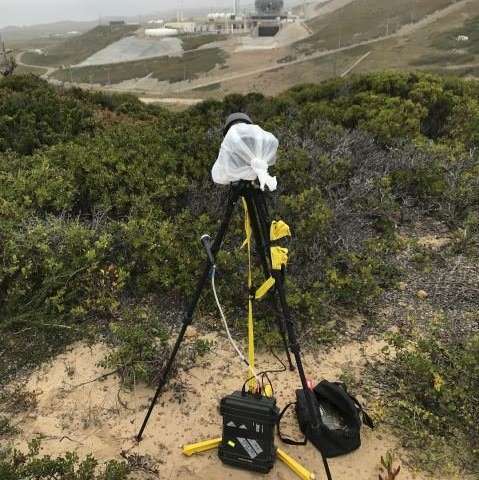 "I had six remotes, two outside the launch pad safety perimeter and four inside," he said. 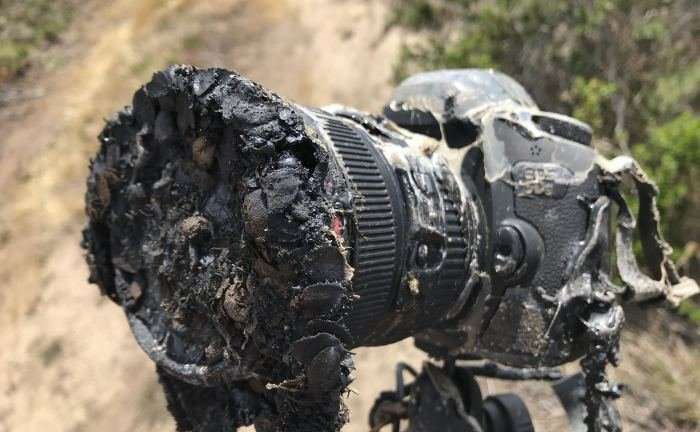 "Unfortunately, the launch started a grass fire that toasted one of the cameras outside the perimeter." Oddly enough, this camera was the one posted furthest from the launch pad, about 400 meters (a quarter of a mile) away. The four other cameras that were set up inside the perimeter were undamaged, as was the other remote camera. But before anyone starts thinking that this remote was the unfortunate one, the "toasty" camera, as Ingalls calls it, is likely to put on display at NASA Headquarters in Washington, DC. In the meantime, Ingalls will be traveling to Kazakhstan to photograph the June 3rd landing of the International Space Station's Expedition 55 crew. He anticipates that that assignment, unlike this last one, will have no surprises!